How payments are becoming more innovative? The article sheds light upon tech innovations happening at payment area. Indian customers tends to prefer conventional way of shopping by just walking inside the store select goods they need and pay either by cash or card. However, such practice is now old school concept, with growing penetration of internet shopping and advancement in technology a lot of innovations has been happening in the payment space. The payment industry in India has observed significant alterations with the introduction of the online payment system. This trend of online payment is a result of significant growth in e-commerce industry. However, the thin lines between the online and offline mode of payment started blurring with the constant evolution of technology and changing consumer behavior. So, retailers be it online or offline have started realizing the trend and have started embracing innovation in this segment. Let’s shed a light on few innovations taken by retailer across the world including India. Going a step further, Samir Modi,led Twenty Four Seven Convenience Stores has deployed vending kiosk useless plastic bottles from your home at the company’s outlet, put them in recycling machine and get a cash coupon. Global fashion retailer Marks & Spencer (M&S) has introduced self-check out kiosk to some international locations where the retailer is engaged in food business. These self-checkout lanes have gained a foothold in the U.S. Going a step further, a 7-Eleven outlet based in South Korea is testing a self-checkout system that will allow customers to pay for purchases using a palm-vein authentication. The solution is called as ‘HandPay’. The entire payment industry has gone through two three major transformations. The very first trend was card saving where customers were able to make repeat transitions without re-entering card details. Then, the trend was of wallet payment which has become a usual norm. 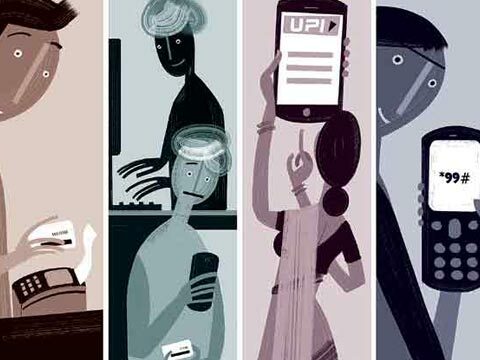 Now, e-retailers are looking towards Unified Payments Interface (UPI) which allows user authentication with ease. Clearly, the news age shoppers are digital and tech savvy by virtue of that it has become mandatory for retailers to become innovative and adopt latest tech innovations. Problem: Leading cinema exhibition company PVR was looking for suitable platform to upgrade its digital payments and go complete cashless. Solution: PVR cinema has deployed Visa payWave( hosted by Pine Labs) solutions which is live at about123 PVR multiplexes, across 48 cities pan India. Since demonetization, PVR has introduced a series of payment options for patrons where they can indulge in smooth and easy transactions. Right from waiving off the convenience fee to recently introducing UPI, ewallets’ but none of the aforementioned medium was churning desired results. With Visa payWave; PVR’s endeavor is to sync in with government’s new agenda of Digital India and a cashless economy.